SportRack, Car Roof Rack and Trailer Hitch Bicycle, Kayak, SUP, Cargo Racks and Carriers from The Rack Warehouse are available to fit just about every vehicle on the road including suvs, pickup trucks and vans. SportRack Car Roof Raised Railing Crossbar Racks are available in 2 sizes and fit most raised roof railings. SportRack trailer hitch receiver mounted bike racks fit both 2" and 1.25" trailer hitch receivers. Cargo Basket Platforms Racks are available to fit 2" trailer hitches. 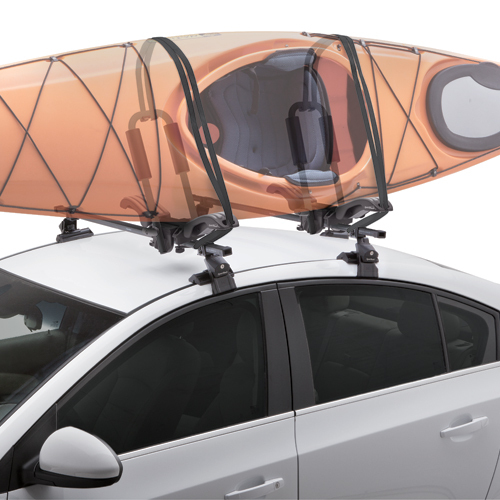 SportRack Car Racks give you the ability to carry canoes, kayaks, stand up paddleboards sups, bicycles, windsurfers, surfboards, skis, snowboards and kitchen sinks. SportRack - Car Roof Racks are designed to fasten directly to your factory raised railings. SportRack Raised Railing Roof Racks are available in 47" sr1098 and 53" sr1099 crossbar lengths to accommodate most of today's vehicles. 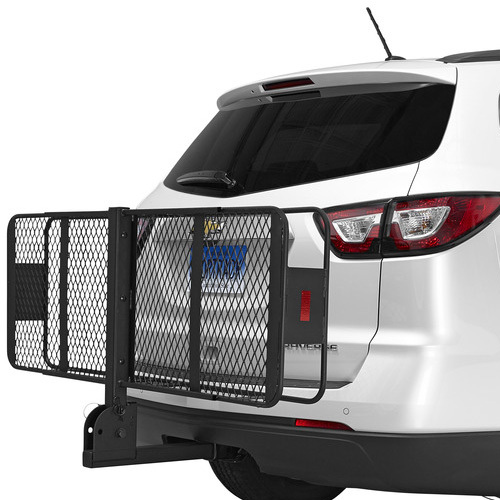 SportRack Raised Railing Mounted Car Racks are ideal for carrying bikes, kayaks, stand up paddleboards, surfboards, windsurfers, canoes, lumber, etc. 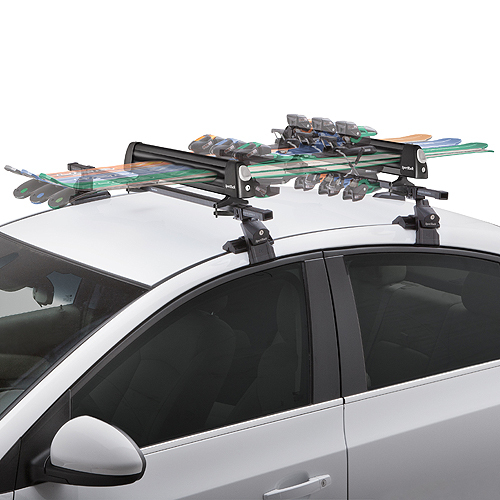 The SportRack Raised Railing Mounted Car Roof Racks holds up to 150 lbs and do not require drilling to install. All SportRack Products are in stock and ready for immediate free shipping from RackWarehouse.com. Please call us at 800 272-5362 if you have any questions. SportRack - Car Roof Rack Bicycle Racks and Trailer Hitch Receiver Bicycle Carriers include many of the same features as expensive brand names at affordable price points. SportRack Bike Racks carry between 2 and 5 bicycles, depending on the model you choose. SportRack Hitch Mounted Bicycle Carriers are available in both Platform and Hanging Styles. SportRack Crest Platform Style Racks hold your bike solidly by the wheels and top tube. With the SportRack Ridge Series, your bike will hang from the top tube and securely fasten with anti-sway rubber cradles which cushion your frame and help prevent bike to bike contact. 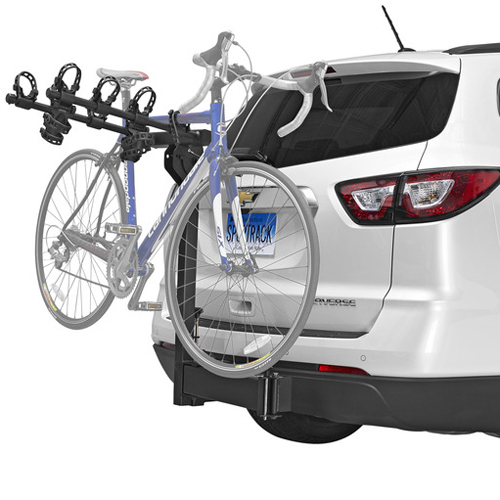 The SportRack Upshift Plus Roof Rack Mounted Bike Rack has self-adjusting jaws that automatically wrap around the downtube for a precise, secure frame hold. Most SportRack Bike Racks include locks and keys for locking your bikes to the rack and you rack to your vehicle. SportRack - Car Roof Rack Luggage Baskets and Trailer Hitch Cargo Basket Platforms are in stock and ready for immediate shipping. 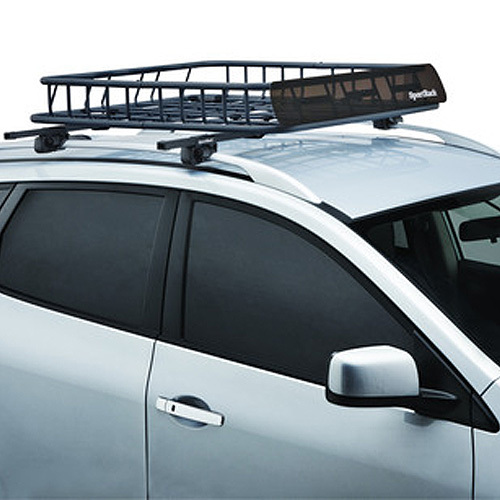 The SportRack Vista Roof Rack Basket adds additional gear capacity by moving your bulky items to the car roof rack. The SportRack Vista Trailer Hitch Mounted Platforms are easy to access and free-up your car interior for people and pets. SportRack bungee style stretch nets with fastening hooks make securing your gear quick and easy. 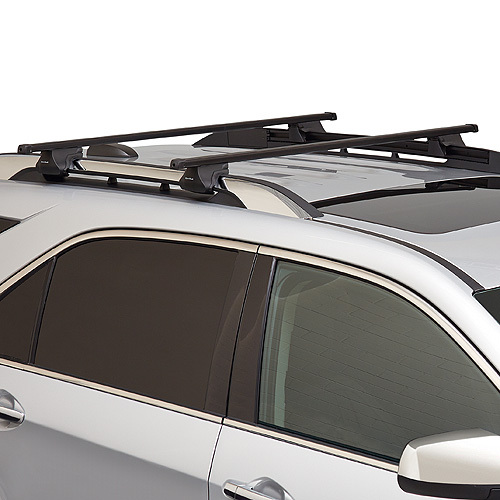 SportRack - Car Roof Crossbar Racks are available in 2 lengths, are sturdy, convenient to use, and best of all, affordable. 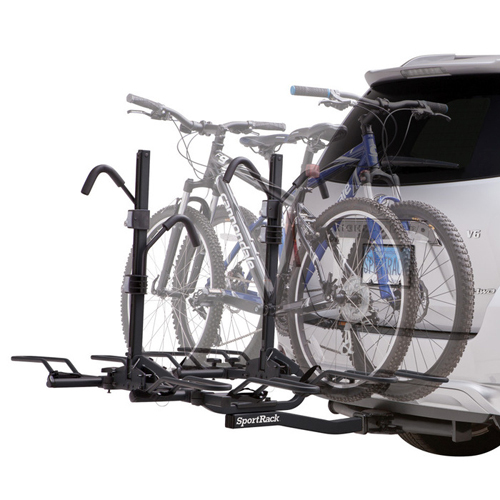 SportRack Trailer Hitch Mounted Bike Racks carry between 2 and 5 bicycles and have a variety of locking, tilting, and fastening features that rival the main Thule Brand. SportRack Vista Car Roof Rack Luggage Baskets and Trailer Hitch Cargo Basket Platforms add additional gear capacity by moving your bulky items to the car roof rack or Trailer Hitch Mounted Basket. All are easy to access and free-up your car interior for people and pets. SportRack bungee style stretch nets with fastening hooks make securing gear in the baskets quick and easy.